Since 1957, Which? has existed to make consumers more powerful, and today there’s more call for us than ever before. In a sea of unfiltered opinions, Which? is grounded in proof. We’re constantly questioning every aspect of consumer life to see if things can be made better. "Which? must have the capacity to meet these challenges but hold true to its values, becoming a transparent membership organisation that works for a data driven society." "In the past year, it has become clear that the power of data will bring about fundamental changes in people’s lives – these technologies bring immense opportunities but also the greatest challenge to consumer rights that we have known"
I want to start by thanking Peter Vicary-Smith for all he has achieved during his 14 years at Which?. During his tenure, the number of our subscriptions has increased substantially, we have launched new products into the digital world and we have increased investment in product testing. Thanks to Peter, we now have greater authority in influencing government, regulators and fighting for the consumer interest in boardrooms. Which? has greatly extended its role in improving consumers’ lives. This year’s annual report shows that Which? is ready to face the challenges that lie ahead and I would like to thank Peter for ensuring a smooth and orderly succession. We are delighted to have appointed Anabel Hoult as Which?’s new Chief Executive. She has a great record and experience of leadership in both the commercial and charitable sectors. Under her stewardship, we look forward to making an even greater impact, championing the interests of all consumers in a digital economy. Which? is a charity, a membership organisation and a business. Its reputation depends on the authority of its research and its advocacy. Data security wasn’t even a concept in the consumer agenda when many of our members first took out their subscriptions. In the past year, it has become clear that the power of data will bring about fundamental changes in people’s lives – these technologies bring immense opportunities but also the greatest challenge to consumer rights that we have known. I was delighted to launch our ‘Control, Alt or Delete’ report in May, sharing knowledge and encouraging debate on the issues that consumers face in a digital age, and engaging a wide network of experts and influencers in government, business and civic society. Which? must have the capacity to meet these challenges but hold true to its values, becoming a transparent membership organisation that works for a data-driven society. It is vital for us to evolve and stay relevant for our members, employees and stakeholders. This is why I encouraged Council to undertake a review of our Governance, and we have asked Dame Deirdre Hutton, one of the UK’s great consumer champions, to act as independent Chair. The review will take an honest look at how we operate as an organisation, and consider whether we can streamline our procedures and decision making to improve effectiveness and be a clear example of a well-governed charity. We will be sharing an interim Issues Report with Ordinary Members before the AGM, and we will ensure to engage and consult throughout the process. 2019 will be a defining year in renewing Which? to become a truly modern, digital organisation that remains Britain’s most trusted advocate for improving consumers’ lives. "I am extremely proud to have led this fantastic organisation during this period, and would like to thank the many members, staff, trustees and others who have been so supportive during this transformation." "Which?’s role in making consumers as powerful as the organisations they deal with is more important than ever as the consumer landscape changes"
This year has been a significant one for Which? and a significant one for me personally. As you will all know, I have decided to leave Which? after 14 years as Chief Executive. I am extremely proud to have led this fantastic organisation during this period, and would like to thank the many members, staff, trustees and others who have been so supportive during this transformation. This has been a year of many achievements, and we have also hit some rocks in the road. Commercial profit is at an all-time high, our reserves are back above £50m, we have completed phase one of our digital transformation on time and on budget, our Trusted Traders business made a profit for the first time, and we have returned to our renovated offices which will set us up well for at least the next 20 years. But our top-line revenue has not grown, and we continue to face difficulties in our financial services business as an increase in competitor activity during 2018, especially visible from new entrants, has increased the cost of quality customer leads. The closure of the office in Hertford was tough for the colleagues involved, and took months of planning and consultation. However, I am pleased to say that we have recently opened our new office in Cardiff where we are creating a customer service hub that will improve our service for members into the future. This is an exciting time for the organisation as we develop our new strategy, and our campaigns remain at the heart of our ambitions to double impact along with commercial growth. Confusion over Brexit continues to loom, so this year we launched our Brexit Charter for Consumers to press government to place consumer issues front and centre when decisions are being made. In April we labelled 250 models of plasticbacked fridges ‘Don’t Buys’ as part of our product safety campaign, and welcomed the government’s decision to overhaul its Office for Product Safety and Standards. We have also provided a voice for thousands of rail passengers and renters who are fed up with systems that don’t work for them. We’re also here to provide people with simple, effective advice to help them understand and navigate their rights as consumers. This involves giving consumers meaningful help ahead of big life decisions such as giving birth, choosing a university course and arranging long-term care. Which?’s role in making consumers as powerful as the organisations they deal with is more important than ever as the consumer landscape changes. Anabel Hoult, Which?’s new Chief Executive, joins an amazing organisation at a significant moment and I wish her all the best in her new role. 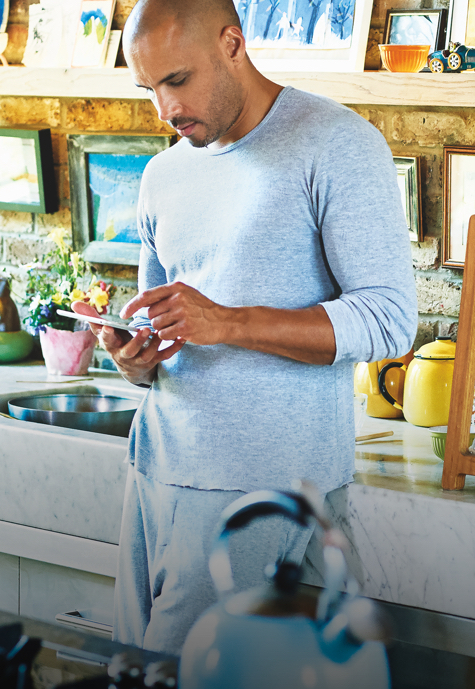 As consumers, we have never had more choice or more convenience. But we still want to get what we pay for and, if things do go wrong, we want companies to take responsibility, rather than passing us from pillar to post or hiding behind the small print. Yet it often feels harder than ever to get to the truth: our rights can be hard to understand, our complaints can lack clout, and reviews on the internet can’t always be trusted. Since 1957, Which? has existed to make consumers more powerful, and today there’s more call for us than ever before. In a sea of unfiltered opinions, Which? is grounded in proof. We’re constantly questioning aspects of consumer life to see whether things can be made better, and we encourage people to join together with us as powerful campaigners for lasting and positive change. We provide people with simple, effective information and advice to help them understand and navigate their rights as consumers, and we give consumers meaningful help ahead of big decisions at key moments in their lives. Our mission to make consumers more powerful drives what we do – and it always will. Last year, we launched our ambitious five-year strategy, with the aim of doubling our size and impact. This year we have focused on laying the foundations to help deliver our future growth and success. In order to deliver our ambitious strategy, we need to invest significantly in our digital capabilities and functionality across all areas of the organisation. This includes building new customer and content-management systems, which will allow us to both better understand and respond to our customers’ needs as well as delivering new information to them more efficiently. This digital investment is expected to continue over the course of our strategic plan, and will help greatly to enhance the delivery of both our charitable and commercial objectives. We also undertake work which is non sector specific. This is 2016/17 reported in our Which? across markets section. The Council of Trustees has a responsibility to follow the Charity Commission’s public benefit guidance when exercising relevant powers and duties. The Council has fulfilled its duty and reported on this throughout this review by providing commentary on the significant activities undertaken by the charity to carry out its charitable purposes for public benefit, and our achievement against them and the associated objectives. Which? is independent and self-funded. Self-funded means that all the work we do as a charity on behalf of UK consumers is financed from our commercial activities, without requiring any donations, fundraising or money from government. Continued growth and success from our commercial enterprises enables us to undertake more work for the wider public benefit to support consumers at key stages throughout their lives. Our group trading income, generated by our commercial subsidiaries, has remained around the £100m mark, largely reflecting growth in our mortgage advice business offsetting a reduction in subscription revenue. Trading costs have reduced year-on-year, largely because of a reduction in our subscription marketing spend. However, our cost base has increased during the year, reflecting the launch of our digital investment programme and expenditure associated with the upcoming closure of our Hertford office. As shown in the chart on the left, in the year 2017/18 we spent £15.2m on charitable activity, delivering public benefit to all UK consumers – an increase of £1.9m over the previous year. In this year we shifted our focus to fewer but bigger, more integrated and ambitious campaigns. This allows us to concentrate on what we know are the important consumer issues, allowing us to combine our charitable and commercial strength to have the greatest impact for consumers. Uncovering and explaining detriment – we use in-depth analysis to uncover and explain issues and consumer detriment, both via our economy-wide strategic themes and through specific issues we identify in key markets. Becoming a thought leader – we develop thought leadership by building a credible, authoritative and influential voice in key consumer areas that help us to pursue our charitable objectives. Making change happen, while embedding a culture of impact – we will make change happen where detriment exists by using a full range of levers – from consumer power and business partnerships, to legal actions and legislative or regulatory reforms. Our Policy and Communications teams work in parallel with our Research team, which leads on product reviews and investigative research, to raise awareness of issues and push for change. Despite this year being one of investment and transition, our Group reserves have increased to £52m due to investment gains, and especially an £8m reduction in the FRS 102 pension liability. As seen in the chart left, Group reserves of £52m are well above the average level for the previous 10 years. To consider more efficient ways in which aspects of horticulture and housekeeping can be undertaken. The Council of Trustees has a duty to have regard to the Charity Commission’s public benefit guidance when exercising relevant powers and duties. The Council has applied with their duty and provides a review of the significant activities undertaken by the charity to carry out its charitable purposes for public benefit and our achievements against them and our set objectives. 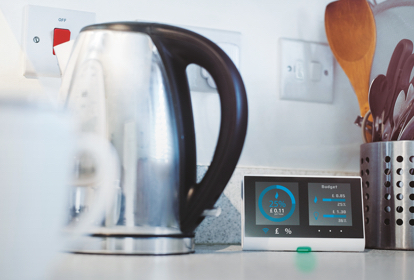 We provide independent expert advice to help consumers make choices on everything from which refrigerators are safe to buy, to providing information about compensation for delayed flights and knowing what broadband speed they are entitled to. Within the ‘home’ market alone we have successfully delivered 16 campaign wins during the year, through constantly questioning to make improvements for consumers, while challenging business and government to make things fairer. For the second year running, product safety has been the central pillar of our work, highlighted this year in February when we challenged the government to set out how it is tackling this issue by producing an action plan, which has since been published. Our campaign has already been successful, with seven submissions on unsafe products to the Office for Product Safety and Standards. In July 2017, we called for an urgent overhaul of the UK’s product-safety system after more than 40,000 of our supporters told us they do not trust the current system to keep dangerous products out of their home. We joined forces with the London Fire Brigade and secured commitments from the former minister with responsibility for product safety, to publish an action plan. Rachel Reeves MP (Chair of BEIS Select Committee) was also happy to support our campaign. The campaign launch was led in the media by our story on domestic fires caused by faulty white goods, supported by interviews with ITV News, Sky News and Good Morning Britain, coinciding with a product safety-themed issue of Which? magazine for our members. Our expanded programme of testing and investigative research on product safety has provided valuable evidence to support the campaign, while also helping people to make more informed decisions. As part of this we introduced a new ‘safety alert’ label to make products with safety concerns easy for everyone, not just Which? members, to spot. We invested extra resources in fire-testing a large range of refrigerators, leading us to make 250 ‘Don’t Buys’. We also launched an online tool for users to check whether there were fire-risk materials in their own fridge, which has already been used 80,000 times. Our call to manufacturers to stop producing fire-risk fridge-freezer appliances received major media coverage, featuring on a number of high-impact broadcast outlets including Victoria Derbyshire and Radio 4’s You and Yours, as well as being BBC News’ most-read story of the day. Our persistent efforts have resulted in an agreement that the stronger standards we demanded will be incorporated into the new refrigeration standard and implemented from January 2019. We also uncovered issues with both ‘Don’t Buy’ smoke alarms and CO detectors and our efforts have resulted in many of these being removed from sale. Our regular testing programme exposed unsafe products, including a Stokke cot mattress and problems with the water resistance claims of sunscreens. An undercover investigation revealed retailers giving poor advice when asked about a fire-risk tumble dryer that smelled of burning, and we challenged 34 brands for selling unsafe products. Our policy work has also supported the product safety campaign by analysing the impact of Brexit on consumer product safety. Our externally commissioned review described the risks and opportunities raised by different trading patterns, and regulatory and enforcement regimes, in other countries. Being effective at making people aware of their rights and making change happen often depends on our ability to react quickly to events as they occur. We sprung into action when more than 700,000 people were affected by Ryanair cancellations, providing those affected with advice and a flight-checker tool. We helped to secure action by the aviation regulator against Ryanair for breaching compensation rules for delayed and cancelled flights. As a result, they were forced to give better information to the customers affected. The CAA also took enforcement action against Ryanair for failing to inform passengers about their rights following the cancellation of hundreds of flights, after we wrote to both the UK and Irish regulators with our investigation findings. Furthermore, the Court of Appeal has ruled that airlines do have to pay compensation for missed connections. This was one of the year’s most visible campaigns, with our calls for better passenger compensation covered by all national newspapers, including five front-page stories. After British Airways suffered a massive IT meltdown that caused disruption to more than 75,000 passengers, we demanded BA automatically compensate those passengers affected. When they ignored our request, more than 3,000 of our supporters joined the fight, sending a clear message to their CEO. Our investigations into travel have also driven positive change for consumers. Our research on the lack of good Atol information was quoted in Parliament, and five travel agents acted following our animal-welfare investigation looking at wildlife-related ‘experiences’ on sale. Following our investigation into pricing clarity within the car-hire industry, the Competition and Markets Authority (CMA) has taken enforcement action against car-hire comparison sites, leading to both Alamo and Enterprise updating their websites to make their costs clearer. The CMA are also following up on our investigation into ‘dodgy’ sales and other dubious practices on hotel-booking sites. Our evidence surrounding poor special offers has been provided to the CMA. was delighted to launch our Control, Alt or Delete report in May, sharing knowledge and encouraging debate on the issues that face consumers in a digital age, and engaging a wide network of experts and influencers in government, business and civic society. Which? must have the capacity to meet these challenges but hold true to its values, becoming a transparent membership organisation that works for a data driven society. It is vital for us to evolve and stay relevant for our members, employees and stakeholders. We have published a strategic review of the private rental sector to uncover the levels of detriment that exist in this sector and suggest possible remedies to address it. We plan to raise our concerns with industry and government alongside proposals to improve the market. We’ve shared evidence from our estate-agent mystery shops with both Trading Standards and the CMA, and we submitted evidence to the Ministry of Housing, Communities and Local Government as part of their work to improve the home buying and selling process. We are also helping shape the government’s new ‘how to buy’ and ‘how to sell’ guides, and we responded to them on strengthening consumer redress in housing. "Thanks to 120,000 supporters who signed our petition, speed claims in broadband adverts will now be based on the download speed being available to at least 50% of customers"
Following sustained pressure from Which? over many years to improve broadband for people across the UK, the government has acted on its plans to deliver better broadband across the UK, by implementing a Universal Service Obligation (USO). The USO will ensure that everyone can reach speeds of at least 10Mbps by 2020. Thanks to 120,000 supporters who signed our petition, speed claims in broadband adverts will now be based on the download speed being available to at least 50% of customers. This marks a change from the previous position that advertised ‘up to’ speeds should be available to at least 10% of customers. Our broadband speed checker helps people check their speed and see how it compares with their neighbours. We provide hints, tips and advice on speeding up slow broadband and template letters if people need to escalate their complaints. This year, we’ve facilitated 3.7m speed tests, sent results to 320,000 consumers and in turn we saw an additional 23,000 people support our broadband campaign. Our free consumer rights advice provides consumers with information, advice and tools that allow them to challenge the organisations they deal with in their everyday lives. During 2017-18 we hosted around 8m sessions on our dedicated Consumer Rights website, with visits growing by 18% compared with last year, with use of our tools reaching 160,000. Some 46% of traffic was on a mobile, which was 18% higher than last year, and one in four visitors returned to the site. Of our 6.7 million users, more than half were aged between 25-44. People benefited from our independent advice on a range of topics, including how online retailers mislead customers over their returns rights, and advising consumers not to purchase World Cup tickets on secondary ticketing sites. Again this year we were able to help consumers navigate Black Friday in November. Teams across the organisation worked together to ensure consumers were making the best choices and we increased awareness of Which? as a place to come for buying advice. This included an investigation that tracked prices over Black Friday to prove offers weren’t always as great as they seemed to be. Our research into misleading Black Friday deals achieved 287 pieces of coverage reaching nearly 48 million people, and and as a result we saw more than 2,000 new joiners to Which? in one day. Our subscription sales remained robust in an increasingly challenging market, although revenue was down year-on-year. This was anticipated following our decision to reduce our marketing expenditure on TV advertising and sponsorship following lower returns. Despite these challenges our subscription activities enjoyed some considerable successes, in particular during the Black Friday/winter sales period, which saw a record number of people (2,169) take out a trial with us in one day. In order to reinvigorate and sustain our subscription business over the long term we are conducting a major consultation with current and potential members to understand how best to evolve our core subscription business. This involves conducting more than 5,000 survey interviews and running focus groups across the country. Our subscribers (683,000 at June 2018) continued to enjoy the diversity of our investigative research across all our magazines. Our customer satisfaction research has shown a third consecutive year of improvement in the ‘issue rating’ for Which? magazine, with 94% of members telling us that they learnt something new as a result of reading the magazine. Over the course of the year we published 4,083 new product reviews, we had more than 120 million visits to our which.co.uk website and Which? Computing continued to be the UK’s bestselling technology magazine. The most interesting investigation rated by members in Which? Travel during the year, was a January article ‘One plane, two airlines, zero compensation’ looking at code sharing of flights and how that can mean losing your flight rights. ‘Compost for raising plants’ in Which? Gardening was rated the most useful of all articles across all magazines during the year. In April we launched a new Which? Gardening Facebook group which has quickly grown to 1,500 members. It is proving to be a highly engaged community where members and non-members swap gardening tips, queries and pictures. Our Trusted Traders business continued to build on previous years and for the first time make an annual profit. At June 2018 we had nearly 9,000 traders on our books and around 130,000 moderated reviews on our website. Trader retention also improved year-on-year to reach 88%. We expect that Trusted Traders will continue to grow organically and deliver further operational efficiencies. This year we saw nearly 2 million visits to the Which? Switch website. Our customers continued to be happy with the service and the money they could save, with an average annual saving for users of £272. We are focused on guiding consumers to make smart financial choices that are right for them, and we encourage consumers to join together with Which? as powerful campaigners for long-lasting change. This year we achieved 10 campaign wins in Money, challenging the financial sector to treat people fairly, working hard to protect consumers’ hard-earned cash. We provided support and information as well as financial guidance and advice through Which? Money magazine, the Which? Mortgage Advisers service and the Which? Money Helpline. "Thank you for the use of the Which? PPI claim tool, I was successful in claiming £2,218 recently. I had minimal records to go on, but your online tool was invaluable in claiming and receiving the above amount"
We highlighted the issue of cashpoints closing down and intervened to protect people’s ability to access cash through our major ‘Save our cashpoints’ campaign. We encouraged people to join together with Which? as powerful campaigners for long-lasting change, and saw 100,000 people sign our campaign petition in just four months. Alongside the campaign, we’ve built a ‘Supporter Reporter’ tool that enables supporters to become our eyes and ears around the country, finding problems accessing free-to-use cashpoints. Already, 600 reports have been submitted. Editorial work in Which? Money Magazine on ATM closures has supported this campaign with the first report in the February issue generating strong media coverage and interest from MPs. A fee-charging ATM in a hospital was replaced with a free one as a result of our news story. We achieved a major campaign win this year when the Payment Systems Regulator announced it will be introducing a reimbursement scheme as a direct result of our super complaint on bank transfers, which we launched in 2016. This follows our calls for more protection for consumers losing money to bank-transfer fraud. We are continuing to work with the regulator and the banking industry to develop this scheme further. We have continued to make progress this year on our campaign to end charges for unarranged overdrafts, with Lloyds Banking Group agreeing to scrap additional charges for them. We are continuing to put pressure on the Financial Conduct Authority (FCA) to require all banks to follow suit and already it has committed to take action. Coverage, including our response to the announcement, reached more than 23 million people, with the story being covered on Radio 4’s Moneybox. Our PPI tool proved popular with people again this year, with 66% of users saying they were unlikely to make a claim without us. The tool submits claims to all major banks, with one in four claims successful and an average payout of £2,600. We also went on to work with MoneySavingExpert.com and UK Finance to refresh our PPI leaflet that banks send to all customers who made a successful complaint. Which? Money Online led an investigation into the leasehold crisis, to create a feature that highlighted issues affecting thousands of homeowners who unexpectedly faced thousands of pounds in future annual ground rent fees. By using all of our communications channels and securing widespread media coverage, we successfully raised awareness of this issue with a broad range of people. Which? Money continued to be the UK’s best-selling personal finance magazine, and we received our highest-ever customer score for the June 2018 issue: 66.6%, representing a 6.5% percentage points increase on last year. This year we have reviewed 363 financial companies or services and introduced 45 new Which? Recommended Providers. In addition we introduced two recommended provider sectors into the money space; student bank accounts and investment supermarkets, and carried out 66 investigations across the Which? Money magazine and the website. We relaunched the Which? Money website to create a more efficient and enjoyable customer experience, helping members to get the financial advice they need through our online services and the Which? Money Helpline. The site redesign included improved navigation and new interactive tools that deliver personalised results for users. The site has doubled the volume of videos to more than 700, with the aim of making complex subjects easier to understand. In our effort to ensure that our information and help reaches the broadest audience, we launched the Which? Money Facebook page, which now has 7,500 likes. We have seen 14.1m sessions to our money information and help online, compared with the 10.9m we had in 2016-17. Over the course of the year we have handled 20,379 calls through the Money Helpline, helping consumers with bespoke information to claim £347,718 in redress and compensation. Our customer service continues to gain high praise with a 12-month average-net-promoter score of 83, demonstrating we are providing and excellent service for our customers. We know buying a house can be a stressful and confusing process. Which? Mortgage Advisers was established to provide an impartial service in this area, offering mortgage solutions for customers from more than 65 different mortgage providers, with our advisers being paid a salary not a commission. Performance improved year-on-year, although we fell considerably short of achieving the operational profitability we had hoped for at the start of the year, largely due to issues in generating anticipated volumes of new customer leads within a much more competitive environment. During 2017/18, we managed to arrange 7,149 mortgages for customers – an 18% increase on the previous year. We also launched Which? Insurance Advisers; an advice and application service for customers for all their protection needs, ranging from life insurance, critical illness cover and income protection. We provide people with simple, effective advice to help them understand and navigate their rights as consumers, helping them as they make key decisions through life. Our free websites; Which? University, Which? Birth Choice and Which? Later Life Care continue to help people make difficult choices, such as choosing a university course or arranging long-term care. Our work in public and mixed markets has delivered 13 campaign wins, including our ‘Care needs care now’ campaign, which we launched in September 2017. We produced powerful investigations into care homes over the course of the year which we used as evidence when asking the Competition and Markets Authority (CMA) for change in the sector. With our evidence the CMA secured £2m compensation from the care home provider, Sunrise Senior Living Ltd, for charging excessive upfront fees to care home residents and their families. A further win came when the CMA agreed with us that urgent action was needed in the care home market. We engaged our social care campaign supporters to demonstrate the postcode lottery on care costs across the UK, allowing them to find out about their area and compare costs to others. The article rated highest in February 2018 by readers for ‘most interesting’ in Which? magazine was ‘Finding a way through the broken care system’. We relaunched the Which? Birth Choice website at the start of the year, which has led to a 40% increase in the use of our maternity choice tool to 78,000 users. We have focused on expanding the advice we offer to expectant parents and have seen a 20% increase in overall visits to the site. We also launched our ‘Becoming a parent’ email programme, supporting new and expectant parents from early pregnancy through to when their baby is 18-months old. At each stage, subscribers receive relevant advice content, product guides and information from across Which?, as well as ad-hoc alerts about baby product recalls and safety issues. 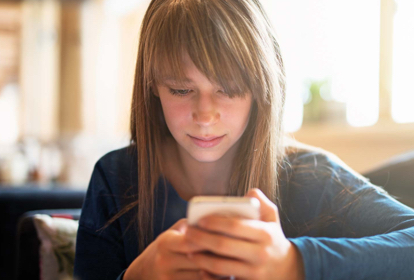 More than 2,500 parents have signed up to receive emails so far, with the tailored information and advice attracting strong levels of engagement. We have been working hard to improve and develop new website tools to help students researching and applying to university. This year we saw more than five million users, 1.2m uses of our tools and we now have over 16,000 Facebook follows. Our personal statement tool, offering step-by-step and tailored subject guidance for students writing UCAS personal statements, went live in October 2017 and has helped to generate more than 14,000 draft statements. We redesigned more than 30,000 course profiles, incorporating new government open data on long-term graduate outcomes to help inform students considering their options. We launched a student budget calculator, allowing students and parents to easily calculate the real living costs of going to university. We ran a social media campaign using Instagram stories to engage prospective students with help and advice on how to get the most out of University open days. The campaign was the first of its kind for Which? using fun, creative content on Instagram and proved to be successful in engaging a young audience with our advice. The rail industry has updated its national terms and conditions around passengers being entitled to compensation for reasonable out-of-pocket expenses, or ‘consequential loss’ after a year of pressure from Which? to bring the rules in line with consumer legislation. Our undercover research found that many train operators were still misleading passengers on their rights. Our research also gained extensive media coverage, leading several train companies to make immediate changes to their customer information and training policies, as well as prompting the Secretary of State to contact all train companies about their compensation obligations. This joined-up programme of research has successfully seen some train companies improve their terms and conditions. Using the social media hashtag #trainpain, we’ve been able to tap into the daily problems faced by rail passengers, collecting case studies of the impact delays and cancellations have on people’s lives, and following their experiences of claiming compensation. Our rail compensation tool, designed to make that process easier, has been used nearly 5,000 times since its launch in November. We ran an outreach campaign in support of passengers suffering from severe disruption following the timetable chaos on the Northern, Thameslink and Southern franchises. Through adverts and targeted social media, we reached over 558,000 people in two days, and generated over 300 additional case studies for our rail campaign. This new creative approach to our press campaign was welcomed by the public, with many passengers sharing it on social media. We were pleased to see our sustained effort to tackle consumer detriment in rail has led to the announcement of the first ever rail ombudsman. Rail will remain a major campaign priority for this year as we continue our pursuit for a rail system that works for passengers, not just the industry. The Later Life Care website (formerly known as Elderly Care) has experienced a record-high level of growth this year – up 62% on last year, with one million users. Much of the year’s efforts have focused on preparing for a full rebuild of the website, complete with mobile-friendly design and new tools, due to roll out this autumn. We consulted with consumers on the best name for the service and, acting on the findings of a nationally representative survey, made the decision to rename the service Which? Later Life Care to better reflect the breadth and tone of the information and advice it provides. Alongside February’s Which? magazine, all subscribers received a complimentary 36-page supplement on ‘Planning care for later life’. The additional information it contained helped to inform members about the wide range of services and advice we offer when it comes to arranging care, and to help people navigate this complex and often challenging topic. More than six in ten members felt it was a good resource for future reference, with the supplement driving significant uplift in awareness and consideration of relevant Which? Products and services. We know considerable consumer detriment continues to exist in the legal sector, as people put off seeking legal advice due to a perception that the process is complex, expensive and unclear. We believe that quality legal expertise should be available to everyone and we offer our legal products and services so we can provide consumers with the crucial, value-for-money legal support they need. With the understanding of the barriers consumers feel when seeking legal advice, we strive to influence the legal sector to make it easier for people to utilise and understand. This year we carried out an investigation into probate, looking at what the process involves and how different financial firms are rated in terms of making the process easy or difficult. We listened to more than 500 Scottish supporters who shared their experience of legal services in Scotland. We were able to submit some of their stories to the Scottish government as part of the independent review of the regulation of legal services. Which? Legal was established to offer legal support at an affordable price and now includes our legal advice helpline and wills, powers of attorney and probate products. Our lawyers have on average 12 years of legal experience and each specialise in only two or three areas of law. We offer a free legal check-up online, via email or on the phone, so consumers can find out if a lawyer could help solve their problem. For a fixed fee customers have access to unlimited phone calls to our legal experts, so they can ask as many questions as they need until their issues are resolved. We have performed solidly in what is an increasingly competitive and fragmented legal market, with revenue growing year-on-year, although the business has not grown as positively as we expected. Our live-chat function on our consumer rights website was used more than 20,000 times and allowed us to direct visitors quickly and easily to the information and service they required. During the course of the year we sold more than 10,000 wills and wills-related documents in a market that has become increasingly competitive. These market dynamics, combined with marketing campaigns in other product areas (such as Powers of Attorney) not performing as well as expected, meant revenue did not grow as intended. Monitoring customer feedback is essential to ensure we continue to provide the high quality service that customers have become accustomed to. While service levels came under pressure toward the end of the year, customer satisfaction scores and net promoter scores remained in a healthy state (85% and 63%, respectively). We will be centralising our Which? Legal team in the Bristol office as part of our ambitious programme to set up a customer service hub in Bristol and Cardiff. We continue to listen carefully to the needs of our customers and based on their feedback worked closely with the regulatory authorities to make some changes to how we are regulated. This now allows Which? Legal to provide a much more comprehensive consumer offering and we are now able to review and prepare documents on the client’s behalf. We will continue to look how best to engage with members, considering new channels and improvements to our consumer legal advice offering. Additional to the work highlighted in our market areas, there is considerable activity that reaches across our organisation. This year our Brexit work has stepped up a gear and in the spring we launched our Consumer Charter for Brexit, which set four tests for Brexit outcomes and nine priorities in the areas that matter most to consumers. We have met with key Ministers, including hosting a visit from a Brexit Minister Lord Callanan at our Bristol offices and have given evidence to multiple Parliamentary select committees and responded to a wealth of consultations and parliamentary inquiries relating to Brexit. Which? has also been invited to speak at a range of events on Brexit and shared the insights from our extensive consumer Brexit research programme directly with decision makers and influencers. In May, we launched the policy document ‘Control, Alt, Delete – The Future of Consumer Data’. Digitisation is remodelling consumer markets, with huge consumer benefit already realised and significant potential for empowerment. However, the personal-data ecosystem has developed without widespread consumer understanding and acceptance. Organisations are now processing unprecedented amounts of personal data but many people feel uneasy and powerless to escape either the growing commercial observation or its effects. Our report has found a widespread sense of disempowerment, with many people unsure of either the impact that data use has on them or whether it is worth trying to take any action about practices that concern them. Which? held a conference to communicate our findings to an audience of representatives from Parliament, government, business, regulators, influential academics and civil society organisations and the event featured high profile speakers from The Economist, University of Warwick, Tech UK and Facebook. The annual Which? Awards ceremony took place on Wednesday 23 May 2018 at Kings Place, London, hosted by Peter Vicary- Smith and the BBC Breakfast broadcaster Naga Munchetty. The Which? Awards were set up in 2007 to showcase the very best companies, and recognise those that are producing excellent products and services for the UK consumer. This year’s event was attended by more than 200 senior stakeholders with big-brand names such as Jet2, Samsung and Richer Sounds among the 11 category winners. We continue with our digital transformation programme, laying the foundations for the future to allow Which? to innovate and adapt in a changing world to better meet our customers expectations of today and tomorrow. A substantial programme to review and replace our underlying digital platform capability to enhance functionally is underway with great headway made in 2017-18. This is complemented by changing the way we work, organising around the customer or consumer and the needs or problems we are trying to solve. We are building skills and capabilities to enhance agility across the organisation. This programme of work and investment in our future is ongoing. Progress has been strong against the plan and continues to be a major focus for the upcoming year. At Which? we work hard to achieve our mission and data is a cornerstone of all of our activities. We value our customers, members and staff and are committed to respecting their rights of privacy and safeguarding their personal data when they use our services, obtain our products or interact with us. We continuously strive to improve our data handling practices and safeguards and our ongoing privacy programme gives us the framework to do this. In 2017 we set ourselves the ambitious goal to double our impact over the next five years. The past year has seen our policy team developing a new impact project that is putting in place the activities we need to help us measure our progress in achieving that goal. At heart we want to assess the real difference we make to consumers whether it be through our helplines and services, our product reviews, websites or campaigning. We are developing a new reporting process that will draw together all our evidence about the ways in which we make consumers lives simpler, fairer and easier and enable us to tell a clear and compelling story about our organisational impact on consumers’ lives. We have taken steps to adopt a more customer centric approach, and are currently re-evaluating how we can better attract and then serve our members through the product and services we offer. As part of this, we are currently in the process of closing our Hertford office and relocating our Member Services Centre to Cardiff, while consolidating our Which? Legal team in Bristol. Our total group reserves at June 2017 were £52.0m, representing an increase of £5.7m over the previous year. Having sufficient reserves is essential so that we have enough funds to invest in the business, whilst also providing protection against potential risks that could adversely impact the organisation. We monitor our primary risks throughout the year and try to mitigate where possible to reduce risk down to appropriate levels. Total group reserves have increased to £52.0m, reflecting the in-year reduction in the FRS 102 deficit valuation. 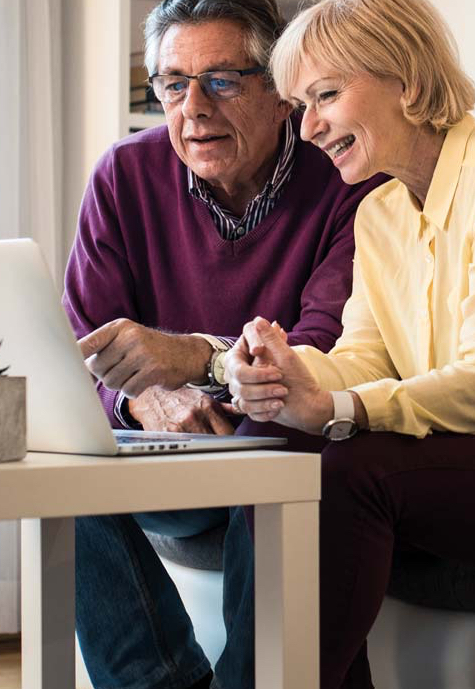 The £7.5m actuarial gain on the defined pension scheme more than offset the £1.8m net outgoing resources before other comprehensive income, resulting in a £5.7m positive movement in funds. This £1.8m loss reflected the initial phase of investment into our digital functionality and the provision of some restructure costs associated with the impending closure of our Hertford office. Tangible assets were up by £4.8m, primarily reflecting the additional construction and fit-out costs of our Marylebone Road building headquarters, which were occupied during the year. Note, we expect that the overall costs of construction will have increased the value of the building by a similar amount. Investments were down £0.3m, reflecting £1.8m of unrealised gains and £0.6m of investment income not quite offsetting the £2.7m cash withdrawal. The £2.5m short term deposits total reflects most of the above cash withdrawal from investments. Creditors due within one year were £6.2m higher than the previous year due to a combination of increased capital expenditure associated with the Marylebone Road building project and timings of material expenditure around the year end. The FRS 102 defined benefit pension scheme liability decreased from £9.9m to £1.9m. Of this £8m liability reduction, £7.5m was reflected through the pension reserve with the remaining £0.5m offsetting in-year expenditure. Which? Limited again committed to make gift aid contributions to Consumers’ Association (CA) from its taxable profit. As CA is a registered charity, no corporation tax was payable on its net outgoing resources. As outlined earlier in the Strategic report, this year was the first year of our new five-year strategic plan which aims to double both the size and impact of Which? over this period. We anticipate that during the early years of the plan that the costs of investment and transformation will impact on our cost base, although we would still expect reserves to be maintained close to the strong levels delivered in recent years, providing the charity with financial security over the medium to long-term given that it is entirely dependent on its commercial activities and reserves to fund its charitable activities. Towards the end of the five-year plan, we anticipate that higher commercial revenues and profits will enable us to significantly increase the charitable work we do on behalf of UK consumers. Cyber crime: This risk is increasing because of external threats. In common with most similar organisations, we make extensive use of technology solutions for data management and communications, and are constantly aware of the need to ensure that our data and systems are adequately protected against misuse. Which? takes a zero tolerance approach to slavery and human trafficking and is committed to ensuring they do not take place in our organisation and supply chains. We remain satisfied that these relationships provided a clear consumer benefit and were appropriately disclosed. ensuring there is sufficient working capital within the Group. All of our reserves were unrestricted with no material amounts designated for specific purposes in future years. ensuring there is sufficient working capital within the Group. All of our reserves were unrestricted with no material amounts designated for specific purposes in future years. Council anticipates that any incremental reserves will continue to fund both further growth in our charitable activities and investment in appropriate commercial activities which can generate long-term growth for the Group. During 2017/18, CA operated both a hybrid and a defined contribution pension scheme. The hybrid scheme combined the features of defined benefit (final salary) and defined contribution schemes. As at 30 June 2018, the hybrid scheme, valued under FRS 102, had a £1.9m liability (£9.9m liability at 30 June 2017). We are still in the process of confirming the value of the March 2018 triennial valuation of the hybrid scheme and also expect to agree an updated recovery plan with the Trustees during 2018/19. Successful management of risk is fundamental to the reputation of Which? and the successful delivery of our strategy and objectives. Our formal approach to risk management is delivered through the application of our risk framework, which sets out the mechanisms through which the organisation identifies, evaluates and monitors its principal risks and the effectiveness of the controls put in place to mitigate them. This includes Council’s and the subsidiary Boards’ review of a detailed Group risk register which identifies and evaluates significant business, financial, operational, compliance and reputational risks. The Group Audit & Risk Committee oversees the effective operation of the risk management framework, receiving assurance and information about the mitigation of key risks from both management and independent sources during the year, and providing subsequent assurances and information to the Council and Boards. Risks are kept under regular review by the management team, with the Group Risk function providing support. The Group Risk function summarises and communicates risk information for senior management, Council, subsidiary Boards and the Group Audit & Risk Committee. It also works with the management team to review mitigations and reduce risk to appropriate levels. During the year, we commissioned an external effectiveness review of our approach to risk management. Following this, we updated the risk framework and are now working with the business to further embed and strengthen our arrangements, to ensure they are operating effectively at all levels of the organisation. The GDPR is a legal framework which came into force on 25 May 2018 that sets guidelines for the collection and processing of personal information of individuals within the European Union. Which? has conducted an extensive GDPR implementation programme across the organisation including staff awareness and training, updating our internal policies, and undertaking reviews of our technology infrastructure and security. Given that the GDPR is principles based, there will need to be an ongoing programme of work to ensure that all the data privacy principles set out in the GDPR are, and continue to be, complied with. Which? is the trading and brand name for the Which? Group, wholly owned by the Consumers' Association. Everything Which? does has one overriding purpose: to tackle consumer detriment. We operate as a social enterprise, with our charitable purposes and commercial activities intertwined. Our campaigning work is entirely funded by our commercial activities, so we receive no donations, public funds or other fundraising income. The Consumers' Association is a charity and a company limited by guarantee and is governed by a Council of Trustees. The governing body of CA is the Council of Trustees (Council) which is the most senior governance body within the Which? Group. Council members are both its charity trustees and company directors for the purposes of charity law and company law. The governing document of the charity is its Articles of Association. Council members are required to promote the success of the charity for the purpose of furthering the charity’s objectives (set out on page 7) for public benefit. This includes satisfying itself that the Group’s commercial operations will be able to provide it with a sustainable income to apply to the charity’s directly charitable objectives over the long-term, and approving the direction and overall strategy of the charity and the Group. The Group Chief Executive, who is not a trustee, oversees the day-to-day operations of the charity and its commercial subsidiaries with support from the Corporate Leadership Team. The subsidiary Boards provide an additional level of oversight with the directors of those Boards having the specialist skills and experience to both support and constructively challenge proposals on the Group’s commercial direction and directly oversee the delivery of the organisation’s complex digital transformation plans and achievement of commercial strategies and business plans. A structure chart of the Boards can be found at: https://www.which.co.uk/about-which/company-info/governance-overview. Council members have given significant time commitments to the organisation this year. This has included overseeing and approving orderly transition and succession arrangements as Peter Vicary-Smith steps down as Which?’s Group Chief Executive after 14 years. The appointment of Anabel Hoult, announced after the financial year end, followed an open application process agreed by Council which was advertised in a national newspaper and managed by professional recruiters. Council was delighted to appoint Anabel as the Group Chief Executive as Peter’s successor, following a series of interviews with a wide range of Council members and representatives from the Which? Limited Board. Council has also continued to oversee the implementation of the overall Group strategy which it approved in May 2017 and monitor the risk profile of the Group. Council’s oversight is assisted by refreshed financial and management reporting, with a greater focus on lead indicators which are intended to help provide early guidance on whether strategy is being delivered. Council also spent considerable time in the year on governance and was pleased to support the appointment of Dame Deirdre Hutton DBE as independent chair and Julia Unwin CBE as a second independent member of the committee. Dame Deidre is leading our Governance Review to ensure that we are fit for purpose, have the appropriate skills, and are suitably transparent particularly in an increasingly digital age. Council oversight of CA’s charitable work included approvals in relation to the development of a new consumer impact project that allows the organisation to assess whether its charitable work and commercial initiatives are successfully delivering against the Group’s mission. Additionally, Council approved the strategic themes to be pursued through CA’s advocacy strategy over two years and a refreshed set of priorities for the Public and Mixed Markets area. Council is assisted in its work by a number of formal committees, ad hoc committees and working groups as well as the work of the Which? Limited and Which? Financial Services Limited Boards. Council constitutes ad hoc committees and working groups from time to time to ensure that Council members have sufficient oversight on key issues for the charity and can give Council assurance in relation to its decision-making. Details of the committees and a summary of their work in year are provided below. The organisation remains hugely grateful to its committed Council members who are increasingly called upon to become involved in many different aspects of the organisation’s work. Council members provide their time on a voluntary basis because of their belief in the values and purpose of the organisation and without their commitment, the organisation’s future would not look to be as promising as it is now. Council delegates responsibility on managing investment policy to the Investment Committee, within a framework agreed by Council. The Committee was made up of three members, two of whom were Council members, with a third external member providing investment advice. The Committee is chaired by Brian Yates. The CA’s investment portfolio continued to be managed in-house, with Barclays Corporate Investment Solutions providing execution-only stockbroker services, following direction from the Investment Committee. The remainder of CA’s surplus funds was held on deposit with leading financial institutions. The Remuneration Committee is responsible for advising Council on group remuneration principles and policy as well as having particular responsibilities for elements of senior executive remuneration (see page 27). At 30 June 2018, the Remuneration Committee had four members (30 June 2017: four), all but one of whom are members of Council. The Committee has been chaired by Caroline Baker since Mike Tye stepped down from Council. During his tenure, Mike Tye led a large effort to introduce new remuneration principles and executive discretionary variable pay plan, for which Council are appreciative. During the year, the Committee has considered, among other things, options for aligning staff pay structures beyond the executive, the prospect of introducing flexible benefits, the objectives and the metrics for the executive variable pay plan for the 2017/18 and 2018/19 financial years (including reviewing performance against the 2017/18 objectives), its recommendations in relation to the remuneration package for the new CEO and the terms on which the orderly transition from the outgoing CEO to the incoming CEO should be achieved. At 30 June 2018, Council had thirteen members, of whom nine were elected both by Ordinary members of CA and Associate members who had a paid subscription for at least a year to one of our relevant products or services and four were co-opted Council members, appointed by the rest of Council. The names of all Council members during the period are on page 50 alongside their attendance at meetings during the year. Over the year, Council’s composition has changed, with the departures of Jeanie Cruickshank, Mike Tye and Tony Ward (who continued to be a director of Which? Limited) and the addition of both Caroline Baker and Sharon Grant OBE. Council thank Jeanie and Mike for their contribution and support of the organisation. The 2018 Council Elections are currently ongoing. Following the timetable changes agreed at the AGM in 2017, the results of the election will be announced at the AGM to be held on 28 November 2018. The notice of the AGM can be found on our website. All Ordinary members are welcome to attend and for those subscribers who are interested in becoming an Ordinary member, we encourage you to apply or find out more here: https://www.which.co.uk/about-which/get-involved/become-a-voting-member. The Board of CA’s principal trading subsidiary, Which? Limited, is made up of independent non-executive directors, senior employees and a Council member. The Council Chair also attends all meetings. The Board of the other trading company within the Group, Which? Financial Services Limited, includes a mix of senior employees and independent non-executive directors. Detailed oversight of the Group’s financial reporting and risk management arrangements is delegated to the Group Audit & Risk Committee (GARC), with the Risk, Audit & Conduct Committee of Which? Financial Services Limited overseeing specific compliance, customer and risk matters in relation to its regulated financial advice services. Both committees have at least one member with recent and relevant financial experience. GARC’s specific responsibilities include monitoring and reviewing the integrity of the Group’s financial statements, assuring itself that Group risk management and internal audit arrangements are effective and that internal controls around information security, financial records and the external auditor are reliable. GARC reports on its work to Council and the Which? Limited Board. There is more information on how we manage risk on pages 18 and 19 within the Strategic report. At 30 June 2018, GARC was made up of five members (30 June 2017: four), which included representation from Council, the Which? Limited Board and the Which? Financial Services Limited Board. At least one member of the Committee is required to have recent and relevant financial experience under its terms of reference. The Committee is chaired by Tony Ward OBE, a non-executive director of the Which? Limited Board. Tony replaced Sharon Darcy, a Council member, as chair; Sharon has remained a member of the Committee. It is expected that Tony Ward will stand down as Chair at the end of 2018 to be replaced by Ian Hudson. The Committee met four times during the year (2016/17: three) and was satisfied that the information presented to it identified no significant concerns regarding internal controls across the Group. An external audit tender process was completed in March 2018. After considering all submissions (including two tenders from outside of the Big Four accountancy firms), the panel, which comprised of representatives from Council, the Which? Limited Board, GARC and the Executive, unanimously agreed that PwC should be reappointed as Group auditors. Their proven capability to cover the range of issues, provide robust challenge, and operate cost effectively, led the panel to agree that they remained the most appropriate choice and are pleased that PwC agreed to continue to act as auditor. The Nomination Committee has responsibility for advising Council on Council appointments, Which? Limited non-executive director appointments and senior executive succession planning. At 30 June 2018, the Committee had seven members (30 June 2017: seven), five of whom are Council members and two of whom are Which? Limited non-executive directors. The Committee met three times in the year. With the departure of Peter Vicary-Smith as CEO, the Nomination Committee shaped a robust recruitment process for the appointment of the new CEO. The recruitment was led by Tim Gardam (Council Chair) with the support of the two Deputy Chairs, Anna Walker and Jenny Oscroft, and the Which? Limited Chair, Judy Gibbons. It also involved candidates meeting other representatives from Council and the Which? Limited Board. The Committee has also overseen transparent recruitment processes for the appointment of co-opted trustees and a non- executive director to the Which? Limited Board, helping to ensure equal opportunities are afforded to all interested candidates. The organisation received a significant number of applications from high calibre candidates for both paid and unpaid roles. The Nomination Committee wishes to take this opportunity to thank those candidates for their interest. For the upcoming year, the Nomination Committee expects to review and provide input to the Governance Review on the issue of longer-term succession planning for both Council and the executive. The Committee will continue to focus on the question of how to increase diversity on Council and the executive, mindful of Principle Six (Diversity) of the Charity Governance Code highlighted on page 23. The Council Policy & Campaigns Sub-Group, chaired by Anna Walker, has continued to provide challenge and support to the policy, campaigns and consumer action teams, through the knowledge and experience provided by its Council members. The sub-group reports on its activities to Council with a view to ensuring that the charity’s expenditure has an effective outcome for consumers. The Member Governance Committee (‘MGC’) was introduced following the AGM in 2017. Its purpose is to respond to members’ concerns about governance. The MGC has four members and is chaired by Donald Grant. The inaugural meeting was held on 2 May 2018 and as agreed at the AGM in 2017, an independent member was appointed. Council was pleased that Rosie Chapman, who had been the independent chair of the Charity Governance Code Steering Group agreed to join the MGC to bring her experience and support to the process. No proposals have been received from Ordinary Members for consideration by the MGC in year. The Joint Pensions Working Group (‘JPWG’) has continued to meet on matters relating to the Which? Group pension scheme. The JPWG consists of representatives of Council, the pension trustees and the executive. It is chaired by Jenny Oscroft. The JPWG will be reviewing the results of the triennial pension valuation during 2018/19 and the Council member representatives expect to make recommendations to Council to ensure that the scheme is both sufficiently and responsibly funded to meet its future liabilities. "Good governance in charities is fundamental to their success... It promotes a culture where everything works towards fulfilling the charity’s vision." A working group was established towards the end of 2017 to oversee an ongoing dispute in relation to the building costs of the refurbishment of 2 Marylebone Road. The working group’s members are Tim Gardam, Donald Grant and Tony Ward (in his capacity as chair of GARC). Mike Tye was also a member until he stood down from Council, The working group receives regular updates from the executive and provides assurance to council on the robustness of the dispute resolution process. Council also undertook its first externally facilitated effectiveness review in year. A review was also undertaken by the Which? Limited Board and Group committees. The main issues identified through the effectiveness review were substantively the same as those identified through the Code ‘apply or explain’ self-assessment process and the work undertaken by the Governance Review Committee. Council has agreed a series of actions to be taken where appropriate to improve its effectiveness. Council trustees do not receive any payment for their services. They are reimbursed for travel and accommodation expenses incurred when attending Council meetings and other official events. During 2017/18, claims were made by seven out of 16 trustees (2016/17: 14 out of 16) totalling £9,997 (2016/17: £12,936). Insurance costs for the year to protect Council members against liabilities arising from their office totalled £4,631 (2016/17: £4,588). Non-executive directors on both the Which? Limited and Which? Financial Services Limited boards are remunerated for their services. The total remuneration in the year for Which? Limited non-executive directors was £83,958 (2016/17: £77,167). In Which? Financial Services, which operates within a regulated environment, the total remuneration was £112,084 (2016/17: £87,500). The increase in fees reflects a benchmarking process that was undertaken during the year which took account of additional time commitment and workload so that an additional fee is paid to non-executive directors who also chair a committee, and for Which? Financial Services non-executive directors, the burden of increased regulatory exposure. After making enquiries, Council has a reasonable expectation that the Group has sufficient resources to continue in operational existence for at least 12 months from the date the financial statements were approved. Given that there are no material uncertainties inherent across the Group, Council continues to adopt the going-concern basis in preparing these financial statements. Further information about the adoption of the going-concern basis can be found in the principal accounting policies within the financial statements. a consolidated cash flow statement showing how the Group cash balance has changed over the year. These financial statements, including the Strategic report, comply with the current statutory requirements, the Memorandum and Articles of Association, the Financial Reporting Standard (FRS 102), the Charities Statement of Recommended Practice (SORP) 2015 and the Charities Act 2011. 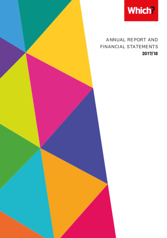 These principal statements are supplemented by extensive notes, providing further insight into the financial performance of the Group, and together form the financial statements of the Group. more focus on the role of Council and its purpose as part of the induction process for new trustees. As the first two areas are within the scope of the Governance Review (see page 24) Council has agreed that they should be addressed through that process. The induction process for new Council members is being reviewed with the aim of providing greater focus on understanding the role of Council and the other Group Boards and the delegation of authority framework that applies. In 2017 Council committed to undertaking a Governance Review led by an independent Chair. In April 2017 we were delighted to announce the appointment of Dame Deirdre Hutton DBE to chair the Governance Review Committee. Julia Unwin CBE has also joined the committee as a second independent member. Both bring a wealth of experience that will be invaluable as the Governance Review progresses. The Governance Review Committee’s terms of reference can be found on our website (https://www.which.co.uk/about-which/company-info/governance-overview). We expect to publish other relevant documents on this page as the review progresses. Council is responsible for preparing the Council of Trustees’ report (incorporating Strategic report) and the financial statements in accordance with applicable laws and regulations. prepared the financial statements on the going-concern basis. Council is responsible for ensuring adequate accounting records are kept that are sufficient to show and explain the organisation’s transactions and disclose with reasonable accuracy at any time the financial position of CA and the Group and enable it to ensure that the financial statements comply with the Companies Act 2006. It is also responsible for safeguarding the assets of CA and the Group and hence for taking reasonable steps for the prevention and detection of fraud and other irregularities. Council is responsible for the maintenance and integrity of the corporate and financial information included on its website. Legislation in the United Kingdom governing the preparation and dissemination of financial statements may differ from legislation in other jurisdictions. We are committed to attracting and retaining the people we need to ensure we are best placed to deliver our ambitious strategy. We have carried out extensive work to improve our careers website, contributing to our efforts to strengthen our employee brand. We are committed to attracting and retaining the people we need to ensure we are best placed to deliver our ambitious strategy. We have carried out extensive work to improve our careers website, contributing to our efforts to strengthen our employee brand. This year, to welcome new employees to Which?, we launched the Ambassador Programme, a structured programme of activities designed to bring together everything that is so special about Which? – from our history and our culture, to our promise and our ways of working. We know the importance and value of developing our people, and launched the Pathway to Leadership Excellence programme for all managers. This programme aims to build on existing skills and capabilities to ensure we are set up to deliver greater future success for our customers and consumers, while building and developing leadership talent for the future. We have continued to invest in everyone through our Grow and Learn programme, which provides a range of resources and other development activities, designed to help our people grow and develop their career with Which?. In addition, this year, we recognised those colleagues who best live the company values through an annual award. In April, in line with statutory requirements, we reported on our gender pay gap, submitting our results to the government and making them available on our website. Results show that we have a median pay gap of 4.63% and a mean pay gap of 7.21% for the Group. These are significantly lower than the national averages. We will report again on our gender pay gap by April 2019. As disclosed on page 41, there was a significant increase in the cost of key employees compared to 2016/17 (we define key employees as members of the Corporate Leadership Team). An uplift in costs relating to compensation for loss of office for employees within the Corporate Leadership Team. The table below summarises the remuneration of the Group Chief Executive – Peter Vicary-Smith. Additional to this, £331,000 was accrued for in the year in connection with contractual employment and other termination payment obligations to the Group Chief Executive, the largest component of which was payment in lieu of notice. Payments will be made during the 2018/19 and 2019/20 financial years, following his departure in September 2018. 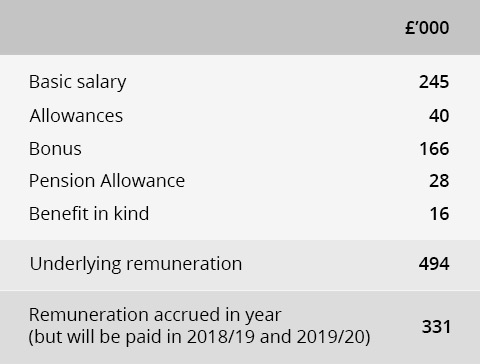 These amounts reflect legacy remuneration and notice arrangements which are no longer offered to new joiners by the organisation. Which? and Mr Vicary-Smith agreed a departure date earlier than the date under his contractual notice in order to facilitate an orderly handover to a new Group Chief Executive. Anabel Hoult starts as Which?’s new Group Chief Executive on 1 October 2018. Earlier in the year we announced we will be closing our Hertford office and relocating the Member Service Centre to Cardiff and Which? Legal Service to Bristol. Our Member Service Centre is the hub of our customer activity and in 2017/18 received over 680,000 customer contacts, including calls, emails and letters. The Hertford office has been providing fantastic service to our members for more than 40 years, all of which has been possible due to the commitment shown by our people. The combination of Which? Legal relocating to our Bristol office, and the opening of our new Cardiff Member Services Centre, are significant milestones in our ambitions to continue to deliver a fantastic service to our members. Throughout the year we have been working on a new onboarding programme, helping to improve how we welcome, upskill and train new staff to our organisation. We plan to roll this out over the coming year. As we transition we will take the opportunity to re-focus on customer service and we are already in the process of building the team, skills and expertise required to offer the best possible member experience. 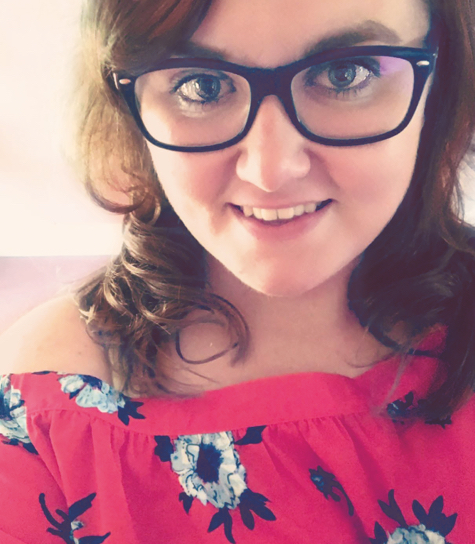 "Hello, I am Ellie, I will be working in the new Cardiff Member Services Centre, an adventure I am really looking forward to! I am responsible for serving our members and answering their queries on a daily basis. I am keen to ensure that whilst we move from Hertford to Cardiff, we continue to offer first-class customer service to our members"
We are committed to ensuring that all employees are fairly paid and we continue to be members of the Living Wage Foundation. Diversity and inclusion at Which? Means respecting and celebrating difference and encouraging a culture and environment where everyone can thrive. As an equal opportunities employer that values diversity across our organisation, we ensure this is brought to life through our approach to attraction, recruitment and selection, training and career development and all employment and working practices for our employees. At the heart of our reward philosophy is the attraction, retention and motivation of employees to enable us to perform. We adopt a total remuneration approach, (ie the total of base salary, variable pay, benefits) and aim to be around the median of the relevant market. This reflects the fact that while we are a large charity, our subsidiaries operate in, and need to recruit people from a competitive commercial landscape. With the assistance of external independent experts, we benchmark our roles using a variety of established and robust market data sources that enable us to select the right comparator group for our range of roles. We benchmark our remuneration as a social enterprise, creating a hybrid benchmark group to reflect our charitable, not-for-profit and commercial nature. A full set of remuneration principles is on our website. Some members of the Executive also hold non-executive director positions or similar non-executive roles within other organisations that have been approved as non-conflicting with their roles at Which?. This is actively encouraged to enable personal development and a broader perspective that benefits their performance at Which?. This year, we will continue our work to ensure our remuneration arrangements are right for all employees. This piece of work will continue under the new CEO’s leadership and we expect to conclude this in the upcoming financial year. The ultimate parent undertaking of the Which? Group is Consumers’ Association (CA): a registered charity (No. 296072) and a private company limited by guarantee. It is registered in the United Kingdom (No. 00580128) and its registered office is at 2 Marylebone Road, London, NW1 4DF.